We are highly acclaimed as a renowned firm that supplies, trades and exports a wide range of Hastelloy c 22. These products are well designed and offer hassle-free performance. We ensure safe and timely delivery of our products. M10 TO M100 , Length Upto 5 Meters. Stud Bolts, Hex Head Bolts, Socket Hexagon Head Screw Anchor Bolts, U-Bolts, J Bolts, Mushroom Head Square Neck Bolts, T- Head Bolts , Wing Screw , Eye Bolt , Eye Bolt, Foundation Bolts, Structural Bolts. Pan Head Slotted Screws , Cheese Head Slotted Screws , Countersunk Head Slotted Screws , Countersunk Raised Head Slotted Screws , Pan Phillipse Head Screw , Countersunk Phillipse Raised Head Screws , Slotted Cheese Trim Head Machine Screws , Socket Head Allen Cap Screws , Allen Countersunk Socket Head Cap Screws. With an aim to satisfy our clients, we are engaged in trading, supplying and exporting a wide range of Hastelloy C22 Seamless Pipes. These products are precision engineered and ensure longer operational life. All these products are light in weight and are easy to install. High tensile strength, durability, superior quality and reliable performance are some of the main specifications of these products. In the series of our products, we are engaged in trading, supplying and exporting a quality range of Hastelloy C 22 ERW Pipes. All these products are well equipped and offer trouble-free performance. These products are strong and sturdy in nature and ensure long lasting service life. These products are durable and are offered at reasonable rates. We Keshariya Metal and Alloys offer a wide range of Hastelloy C22 ERW pipes that finds application in various industries across the globe. Manufactured from quality raw material, these Hastelloy pipes are appreciated for its features such as tight tolerance, smooth surface and uniform mechanical properties. Fabricated as per the ASTM: B622, B619, B622, B626 standard and available in various grades Hastelloy C-4 (UNS No.6455), C-276 (UNS No.0276), Hastelloy C22 (UNS No.6022), Hastelloy C 2000. These products are known for its features like Value Added Services, Hot Dipped Galvanizing, Epoxy & Fbe Coating, Electro Polish and Draw & Expansion. These are available in different forms (Round, Square, Rectangular, and Hydraulic) and lengths (Single Random, Double Random & Cut Length) with ends as Plain End, Beveled End, Threaded. 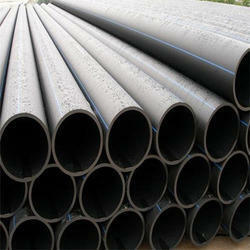 As a renowned organization, we are engaged in offering a wide range of Hastelloy C22 Welded Pipes. These products are sturdily constructed and ensure long lasting service life. We are offering these products at economical rates. All these products are technically accurate and offer high level of performance. With the help of our distinguished professionals, we have been able to bring forth a wide assortment of Hastelloy C 22 . Hastelloy C-22 Alloy 22 (UNS N06022; W. Nr. 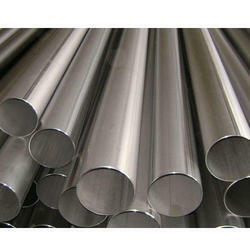 2.4602; NiCr21Mo14W) is a fully austenitic advanced corrosion-resistant alloy that offers resistance to both aqueous corrosion and attack at elevated temperatures. This alloy provides exceptional resistance to general corrosion, pitting, crevice corrosion, intergranular attack, and stress corrosion cracking. Alloy 22 has found numerous applications in the chemical/petrochemical processing, pollution control (flue gas desulfurization), power, marine, pulp and paper processing, and waste disposal industries. Alloy 22 is nickel-base and typically contains 22% chromium, 14% molybdenum, and 3% tungsten. Iron is normally limited to less than 3%. 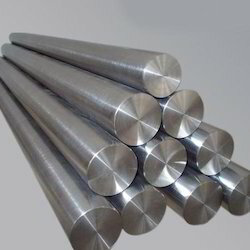 The alloy’s high content of chromium gives it good resistance to wet corrosion by oxidizing media (e.g., nitric acid and ferric and cupric salts). Its contents of molybdenum and tungsten give the alloy resistance to wet reducing media (e.g., sulfuric and hydrochloric acids). Alloy 22 exhibits excellent resistance to corrosive attack by seawater under stagnant and flowing conditions. At elevated temperatures, the high chromium level of Hastelloy C-22 Alloy helps it resist oxidation, carburization, and sulfidation. Since it is nickel-base, alloy 22 resists high temperature attack by halides (e.g., chlorides and fluorides). 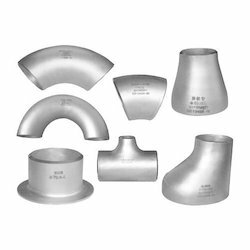 With these attributes, the alloy is widely used to protect steel tubes and other components in coal-fired and waste-to-energy boilers.